Here's a couple monkey sketches...I WILL post more soon..with more regularity!! Awesome Benzo! You must blog more. The monkeys are great and the colors are so monkey like. Almost like the colors a real monkey would have.....if he was drawn and colored by Ben. sweet monkey ben! love the color job, very nice. Cool - great designs! I love monkeys! Glad you're posting again! Thank goodness! I love you stuff and I want to see more ... soon! Hey, may I like to you? I love your stuff and may I link? geez, i gots typing skills... hey, thanks for the possitive feedback, & I'm stoked to have you as a link! 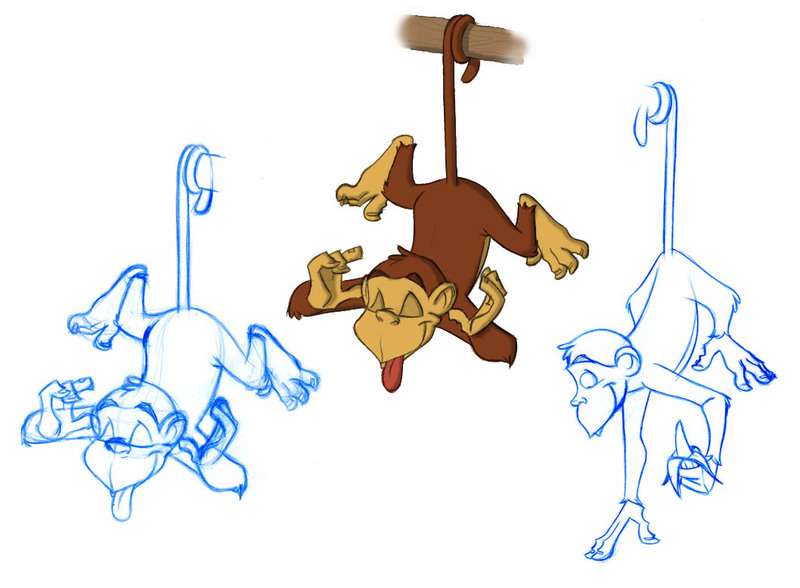 nice monkeys... planning on animating these? I love the monkey sticking out his tongue! whoa long time no see! worth the wait! keep em comin Ben! I know I'm probably not allowed to leak out top secret info like this, but I've heard that Ben is going to make a facelift on his blog and possibly post some of all the awesome character designs he has in store. My sources tells me that he didn't feel like they were blog worthy, but from what I've seen, that's all BS!!!!! Ben my blogging friend. You're all over the place now!!!!! I luv it! Awesome monkeys! Totally monkey-esq. Keep up the great work. Looking forward to seeing more and more and more... monkeys that is. LOL :) Love it! ewdIK5 Your blog is great. Articles is interesting!